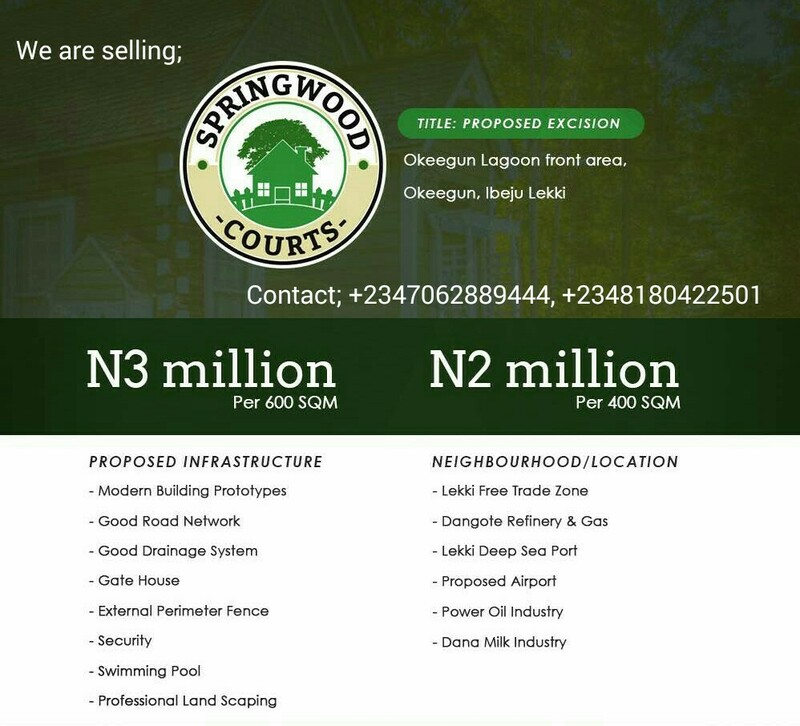 SPRINGWOOD COURTS is our quota towards the alleviation of the housing deficit currently plaguing Lagos State. Springwood court is situated at Okegun town, on the right of the Lekki-Epe Expressway, facing the proposed airport. Springwood court is a Natural splendor with water front and a world class infrastructure that covers commercial, residential, educational, recreational and industrial establishment. 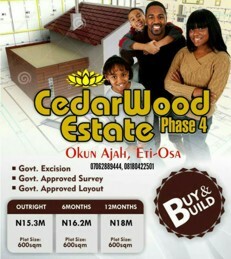 A plot of land is sold for 3 Million Naira. Organized layout that supports residential, commercial, educational, recreational and industrial establishment etc. For enquiries, free inspection and purchase; kindly contact; +2447062889444, +2348180422501.